Purchase of this medical device requires that the user have supervision from a licensed medical practitioner. Devices requiring such supervision may be labeled "Caution" or "RX only". Ensuring this supervision is the purchaser's responsibility. Customer agrees that they are appropriately licensed and/or registered and in compliance with any and all FDA & State regulations for any CELOX products ordered from ATS. Customer further agrees, that any individual who will use any CELOX products from ATS has been properly trained on the product and proper use of product. ATS will not be held liable for any special or consequential damages that result from inability of individual to use or improper use of CELOX products purchased from ATS or the performance of products purchased, even if ATS has been advised of the possibility of such damages. 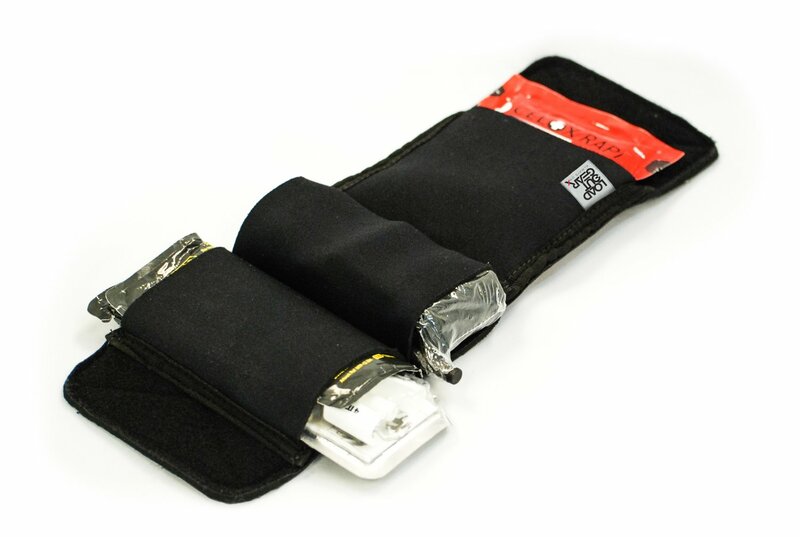 The LoadOut Gear Tagalong for 3-inch Celox Rapid Gauze, Tourniquet and Chest Seal brings you the convenience and reliability that you need when seconds count to be able to quickly access and utilize Celox Rapid Gauze and tourniquet for bleeding emergencies and chest seal for rapid placement to reduce the morbidity and mortality of sucking chest wounds. The Telor Tactical Tagalong utilizes highly dependable and robust resources to provide quality, dependability and reliability for many years to come.